Seems like everybody&apos;s favorite heroes in a half-shell are poised to make another comeback with both a new animated TV series and a live-action movie on the horizon. 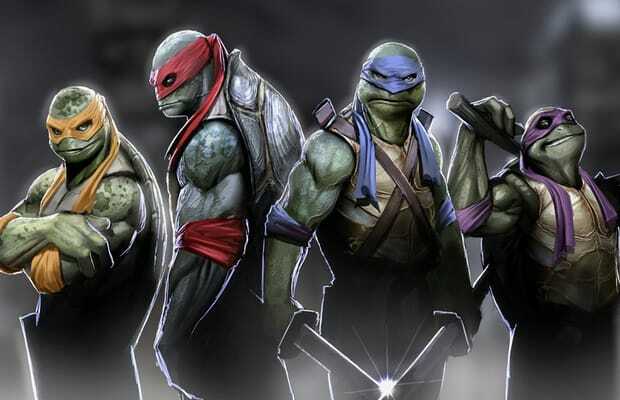 Paramount Studios has a first-look deal with the Michael Bay-founded production company Platinum Dunes in place, with hopes of revitalizing the Teenage Mutant Ninja Turtles property. And now they&apos;ve hired a pair of blockbuster-friendly screenwriters: Josh Appelbaum and Andre Nemec. Appelbaum and Nemec are the writers behind the upcoming Mission: Impossible — Ghost Protocol, which will find franchise star Tom Cruise passing the torch, so to speak, to Jeremy Renner. Paramount is happy with the duo&apos;s work and believes audiences may be ready to see the pizza-loving crimefighters return to their darker roots, as written in the original comics by Kevin Eastman and Peter Laird. The 2007 CGI yawn-fest TMNT attempted to paint Leonardo, Michelangelo, Raphael, and Donatello in a more serious light, but didn&apos;t exactly convince. Hopefully, this new live-action iteration will be an action-packed return to form for the series. Let&apos;s keep Vanilla Ice out of it, too, please.